New York’s mandatory e-prescribing law went into effect on March 27, 2016, for all prescriptions (both controlled and non-controlled). This means that all prescriptions for controlled substances must be electronically prescribed and transmitted utilizing federally approved software that is registered with the Bureau of Narcotic Enforcement (BNE). The impetus for New York to adopt statewide mandatory e-prescribing was based on eye-opening 2010 state statistics that showed that there were 21 million “original” prescriptions (not including refills) for opioids that were prescribed in a state with 19.5 million residents. In 2014, a CDC report showed that about 47,000 Americans died from drug overdose (129 deaths per day), of which the majority were heroin or opioid overdose. These problems are real and need to be addressed. What are some of the benefits and disadvantages of the new system? E-prescribing controlled substances is extremely cumbersome. Doctors have to log in to their electronic health record system and spend a few minutes “clicking” check boxes (search for the drug à click, scroll down for the number à click, scroll down for dose à click, scroll down for the frequency à click, etc. etc. etc.) instead of spending a few seconds writing. Signing a physical script takes less than a second. In contrast, signing an e-prescription requires a more complex system of verification called “two-factor authentication,” which means after a physician signs the script using their regular password, they need to access a second password in real time, because the password constantly changes. This takes a lot of time. Of note, the law requires only prescribers to sign the script and allows others to prepare the e-script in advance. This is an attempt to decrease the time it takes to write the prescription. But there’s an unrecognized problem here: How can a designee prepare a script electronically in the electronic medical record, and have someone else sign it? Are they suggesting a designee should use the physician’s login and password? Obviously not. In addition to utilizing the cumbersome system to prescribe medications, prescribers are also required to login to the Internet System for Tracking Over-Prescribing/Prescription Monitoring Program, otherwise known as I-STOP/PMP, which lists all controlled substances filled by an individual within the last 6 months. Logging in to the online tracking system also takes time. In addition, the password requirements are quite strict. Most of one’s often-used passwords are not complicated enough to be eligible as a password. Therefore, one has to make up a more difficult password, which is therefore difficult to remember. And if you forget your password, you can answer a series of identification questions to create a new password. But here’s the catch: It can’t be similar to any prior passwords! E-prescribing improves workflow efficiency for pharmacists because all the required patient and prescriber information should have been included in e-prescriptions, unlike the paper prescriptions. There will be fewer mistakes of filling prescriptions incorrectly and a significant reduction in the number of phone calls to prescribers for clarification of illegible and/or unclearly written prescriptions. In fact, e-prescribing has shown to reduce medication errors by about one-seventh and potentially prevent more than 2 million adverse drug events annually, saving U.S. health care costs of about $27 billion annually. Of note, pharmacists are still required to accept paper prescriptions in special circumstances (i.e., a prescription for compound medications, a prescription with complex directions such as steroid tapering). These changes will likely be welcomed by patients. Firstly, patients can’t lose prescriptions they don’t have to hold on to because the scripts are electronically submitted. Also, problems with the script can be handled by the pharmacist before the patient arrives to pick up the medication. The pharmacists will call the prescriber and clarify any issues with the prescription. Additionally, because prescriptions are automatically sent to the pharmacy to be filled, patients don’t have to bother dropping off the script themselves then having to go back to pick up the prescription at a later time. There is one caveat though: Because many patients use multiple pharmacies for filling different prescriptions, some scripts can be electronically transmitted to a wrong pharmacy. This requires prescribers to clarify in advance which pharmacy the patient prefers to get their prescription filled from each time. How can the new system be improved? Allow more free text in the e-prescribing system, so there is less scrolling and clicking. Design the prescribing interface to include more automation, so that suggested prescriptions would be fully written and just need to be signed. Allow passwords for logging into the I-STOP/PMP registry to be more lax. It’s hard to remember difficult passwords! Consider a prescriber registry, where doctors can see who is filling prescriptions written by them. If an entire script pad is stolen and prescriptions filled by individuals who are not patients, the prescriber and pharmacy could withhold the prescriptions. Lastly, there must be recognition that the vast majority of doctors, pharmacists, and patients are using controlled substances for the correct reasons. Individuals who are abusing and/or diverting prescription drugs need to be helped, and patients should be able to obtain medically necessary medications in a safe way. At the same time, regulators should make concerted efforts to ensure that these major changes in practice are implemented in the most efficient way that does not significantly affect the workflow of all the involved parties. Doctors and pharmacists need to be asked for their input and help, because we are the ones most immediately affected by these major changes. As previously mentioned, current e-prescribing process for prescribers is more time-consuming compared to writing paper prescriptions. Perhaps a more streamlined process and less stringent password requirement may help reduce the frustrations for prescribers. 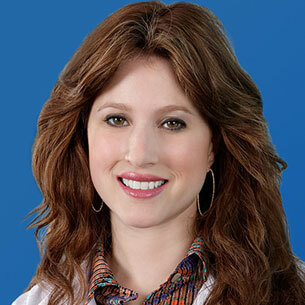 Dr. Kim is a Clinical Oncology Pharmacy Specialist at Mount Sinai Medical Center in NY, NY. Her professional interests include management of blood and marrow stem cell transplant– related complications, chemotherapy-related toxicities, and cancer-related symptom management.